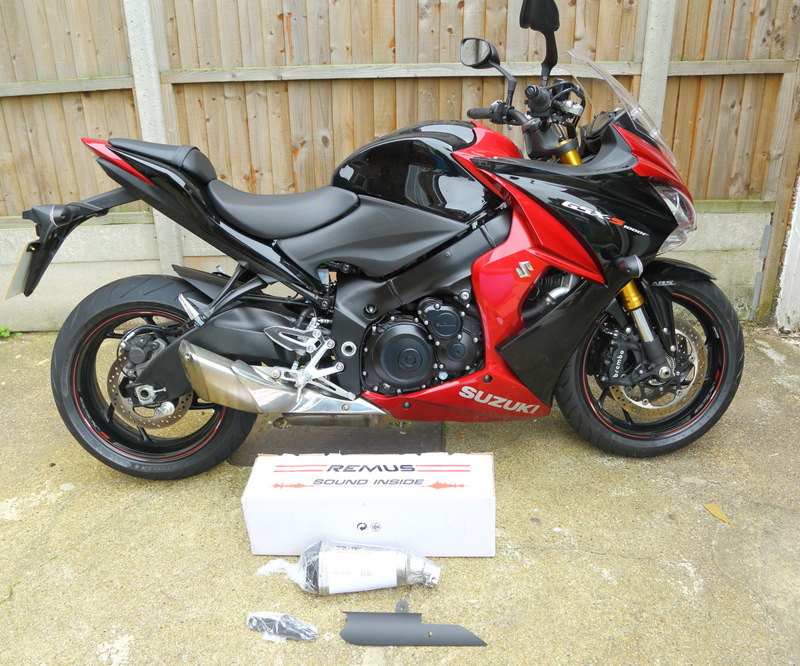 Suzuki GSX-S1000 F – Remus Hypercone end can fitting! So that means we can get cracking with some mods! Yay! First up is this sweet little Remus Hypercone end can. 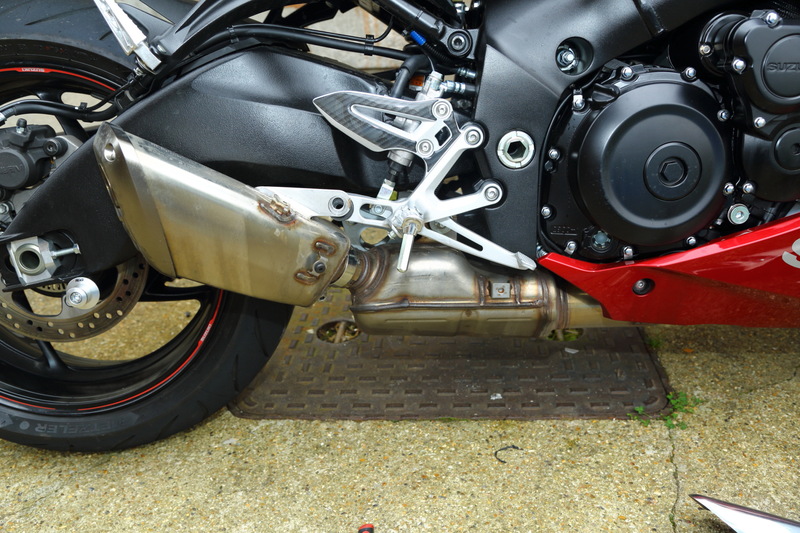 As is the case with most new bikes, much of the GSX-S1000’s exhaust is made up of a rather nasty underslung silencer box, that wouldn’t look out of place bolted under a Dacia Duster. 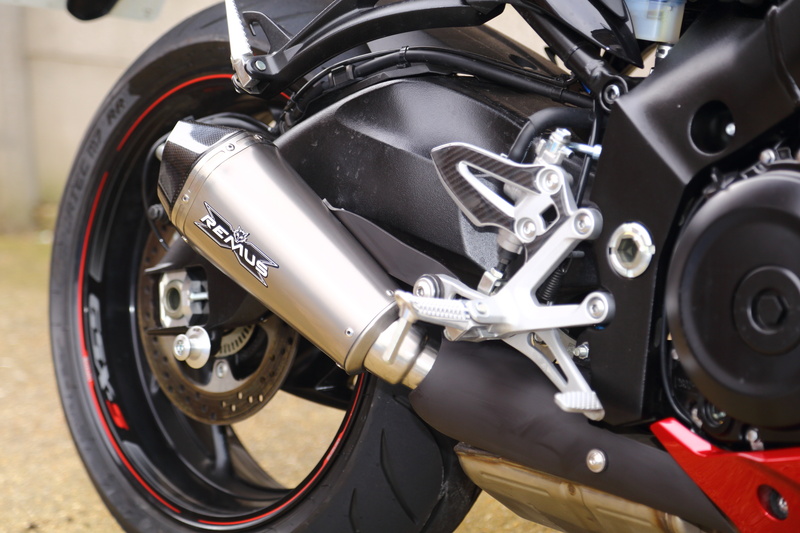 Luckily, Suzuki hides this bulbous stainless steel box behind a nice heat shield, then adds a natty ‘MotoGP’-style silencer. This is the bit that our Remus can replaces. It all looked very simple, and I’d set aside about 25 minutes in my head. 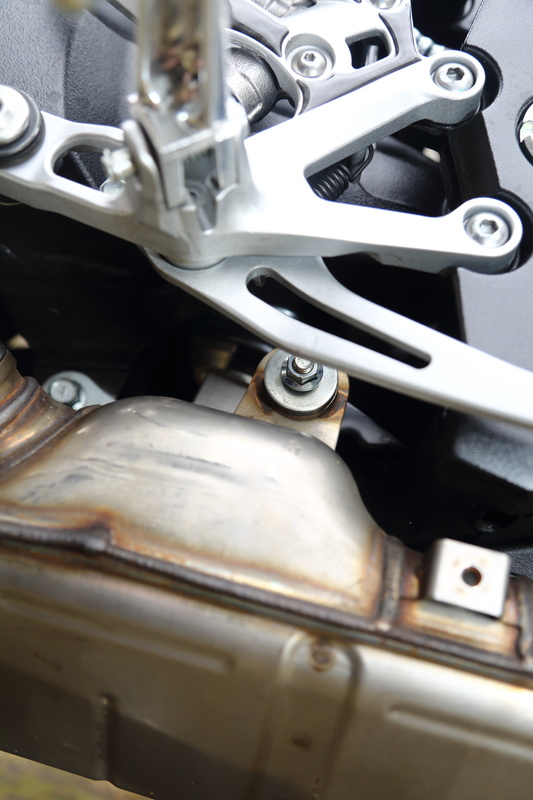 One bolt for the heatshield, one mount bolt and one exhaust clamp, and that would see the stock pipe off. Reverse the process with the Remus bits, and we’d be done! And that bit all went as planned. But it turned pear-shaped when I tried to mount the Remus heatshield. 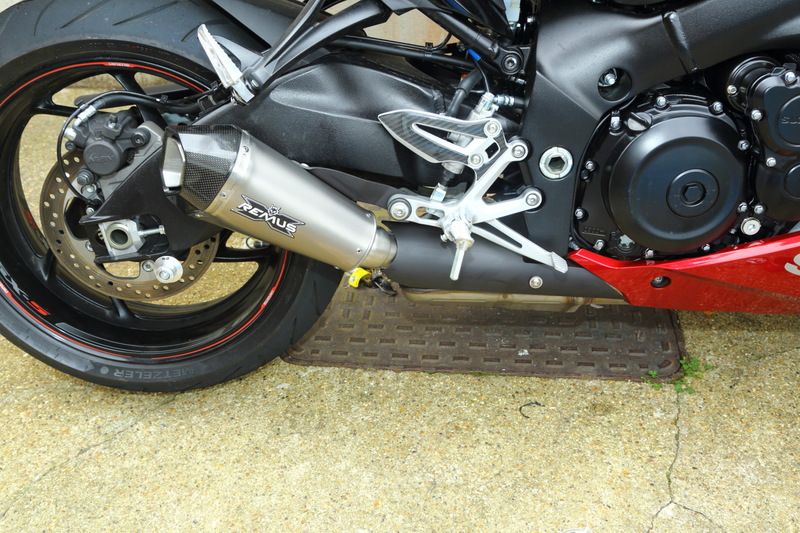 It bolts onto an M8 bolt behind the footrest, that goes all the way through the stock silencer box from the other side of the bike. You can’t get at it easily behind the brake pedal, and when you do, you have to reach all the way through and under to hold the head on the other end. I did the usual thing: spend ten minutes trying to avoid loosening the footrest hanger, before giving up and removing the footrest hanger in about 30 seconds. 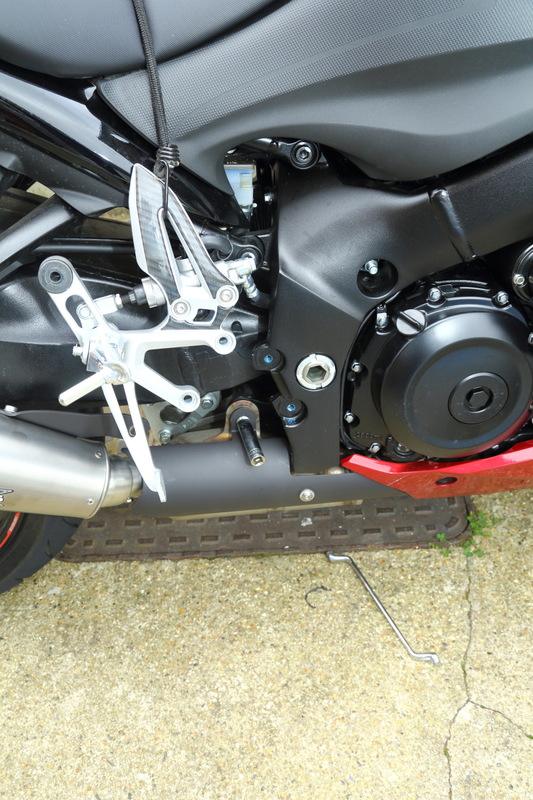 Once the footrest is out of the way, it’s much easier to get at the nut, whip it off, and put the Remus heatshield in place. Mild drama over, the Remus setup was fitted and we were all sorted. But what difference has it all made??!! We’ve not been back to Big CC as yet (we only fitted the pipe this morning). But what we can report on is the weight saving. 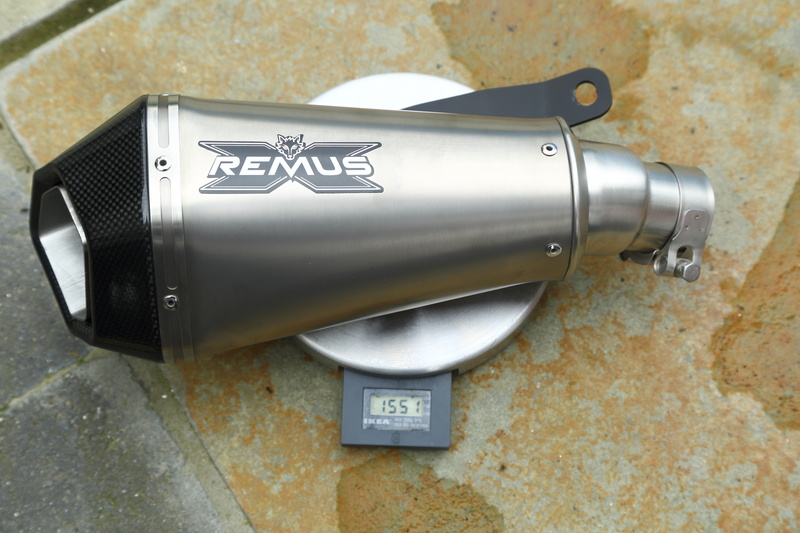 The Remus is made of titanium, and weighs in at just 1,551 grammes (plus 195 grammes for the heatshield). 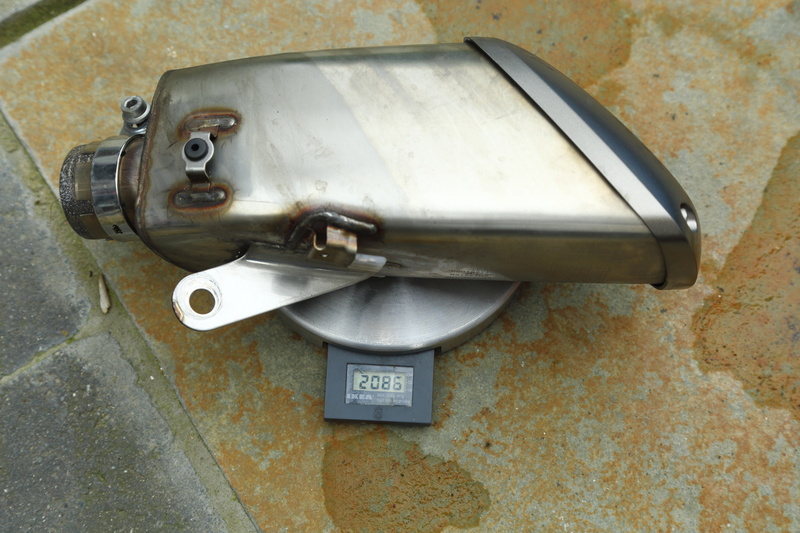 The stock can is a beefy 2,086 grammes of stainless steel, and its heatshield is an almost-insulting 343 grammes. So we’ve saved 683 grammes – almost 3/4 of a kilo. It’s a start… Joking aside, it’s hard to save much weight here, since the external silencer is such a small part of the entire system. 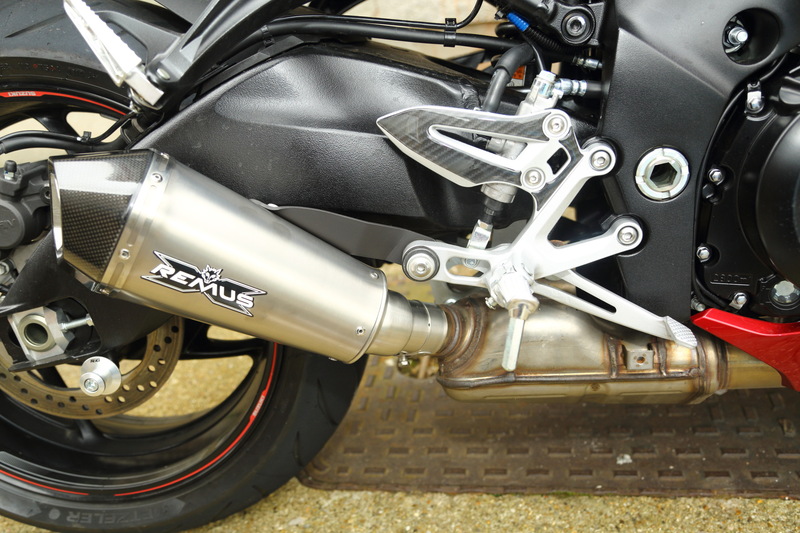 The Remus Hypercone is imported in the UK by Performance Parts ltd. The titanium can costs £507, with stainless at £415 and carbon at £442.